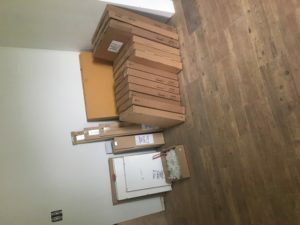 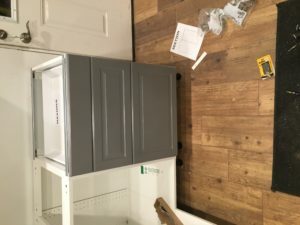 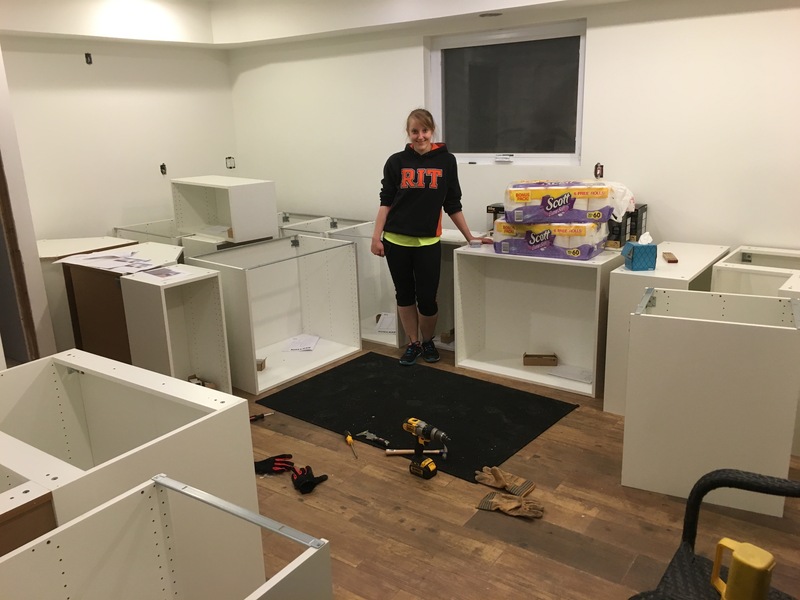 I then recruited my sister, an engineer that for some reason loves building Ikea things to help me get the cabinets started. 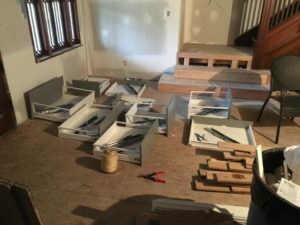 She quickly shooed me away and began them knock them all out herself. My sister of course recruited her boyfriend to help, another engineer. 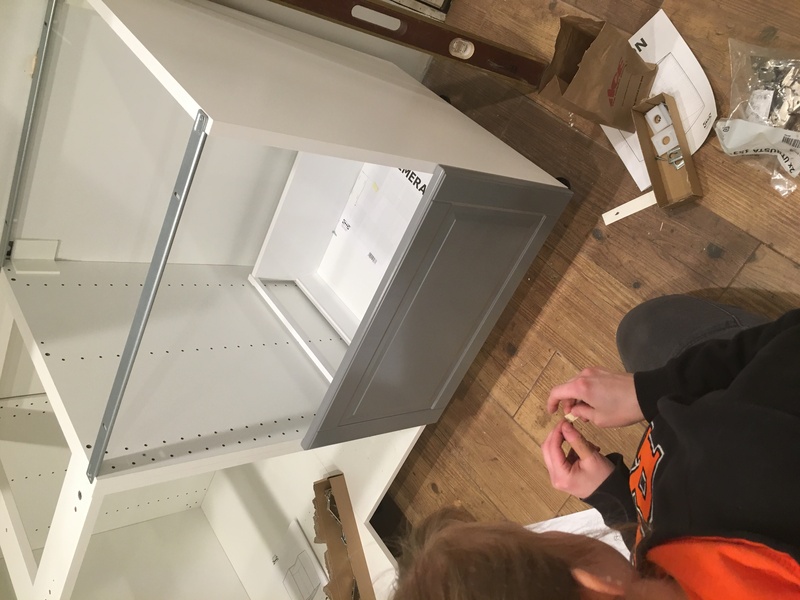 Engineers love Ikea assembly. 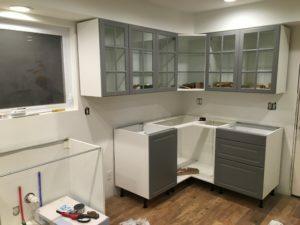 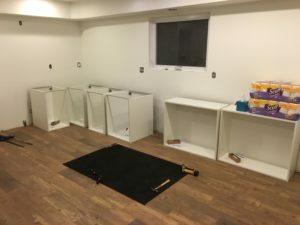 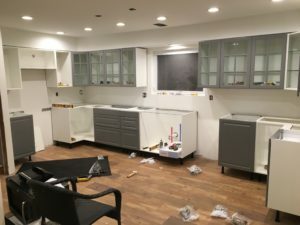 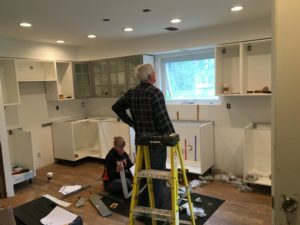 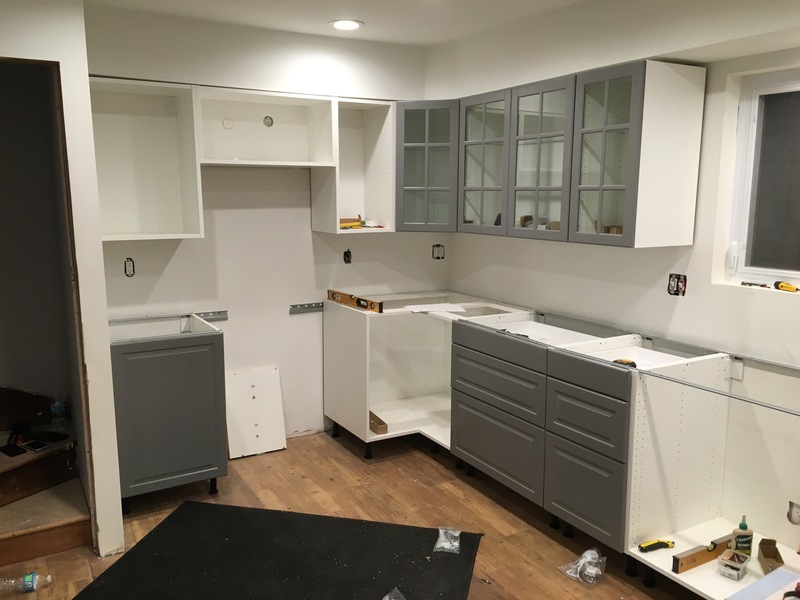 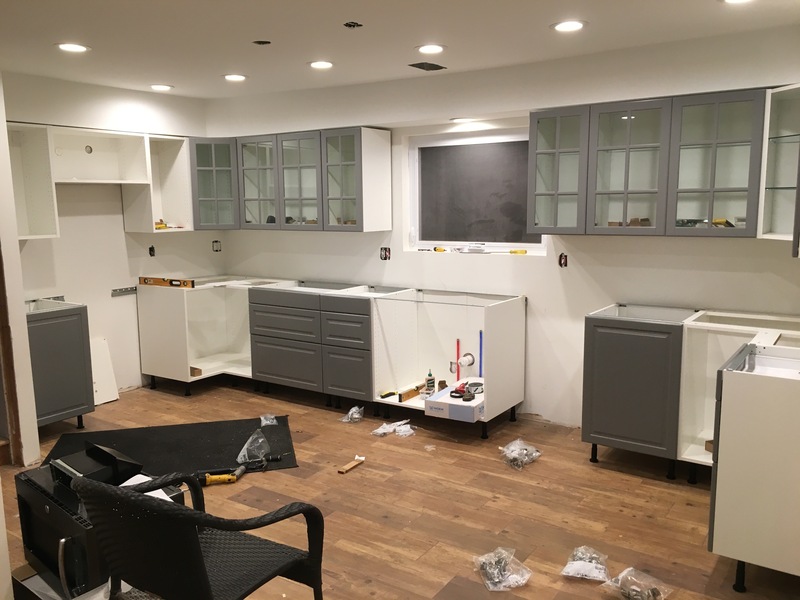 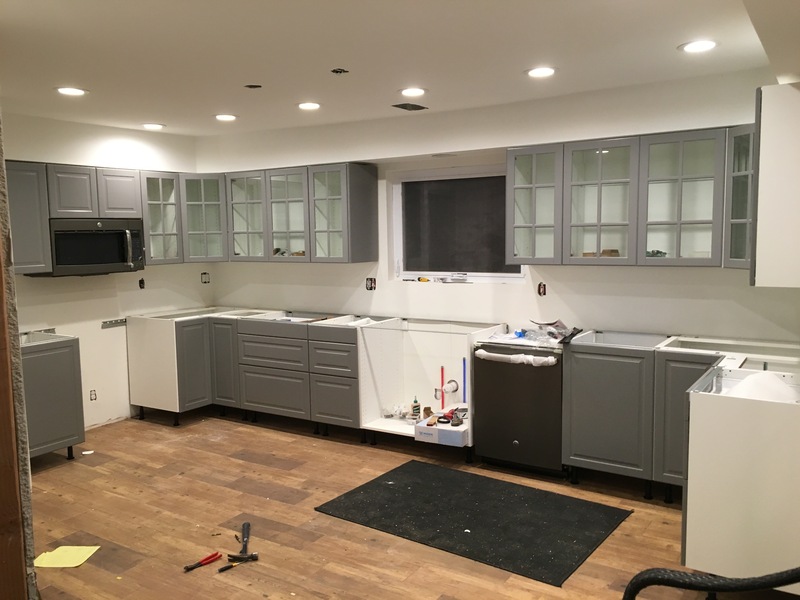 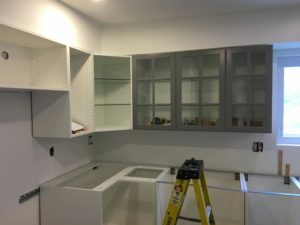 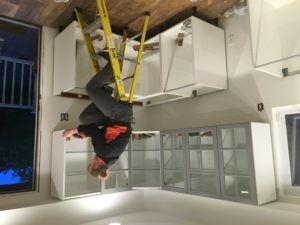 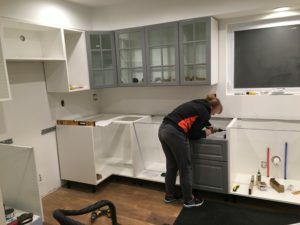 By the end of the first night they had completed all of the base cabinets. 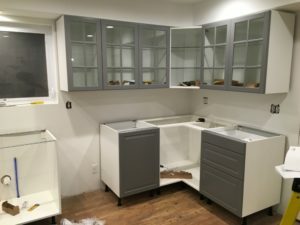 The next day work began on putting in all the drawers and the fronts. 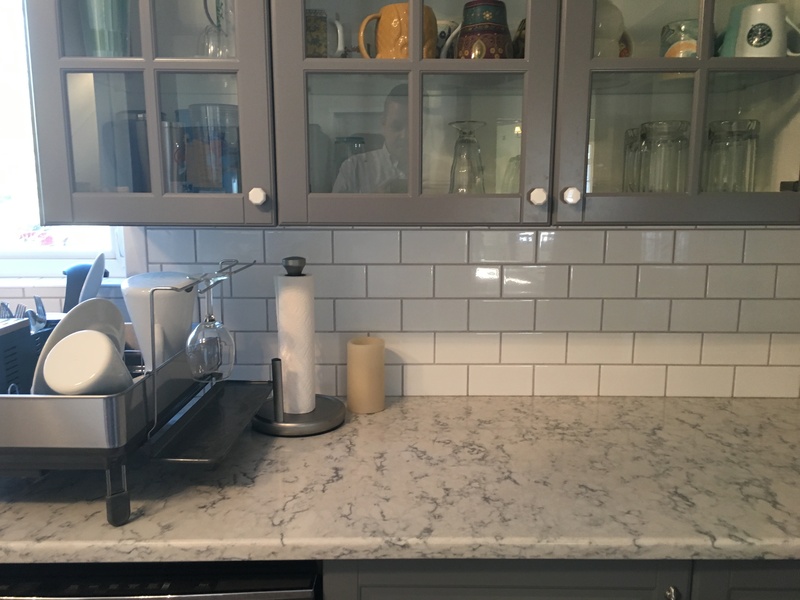 I can’t even explain the amount of relief I felt when the corners came together and fit perfectly. And my dad in a supervisory role. We then test placed the appliances. 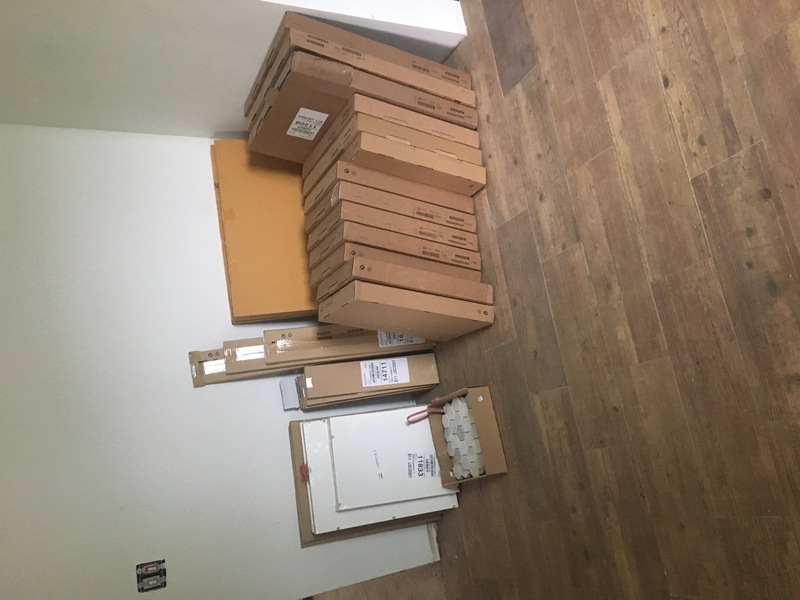 I was thrilled that everything fit in properly. 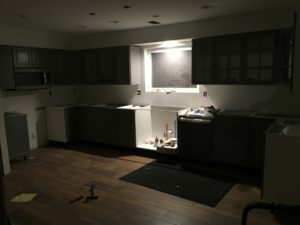 And that was the end of the weekend. 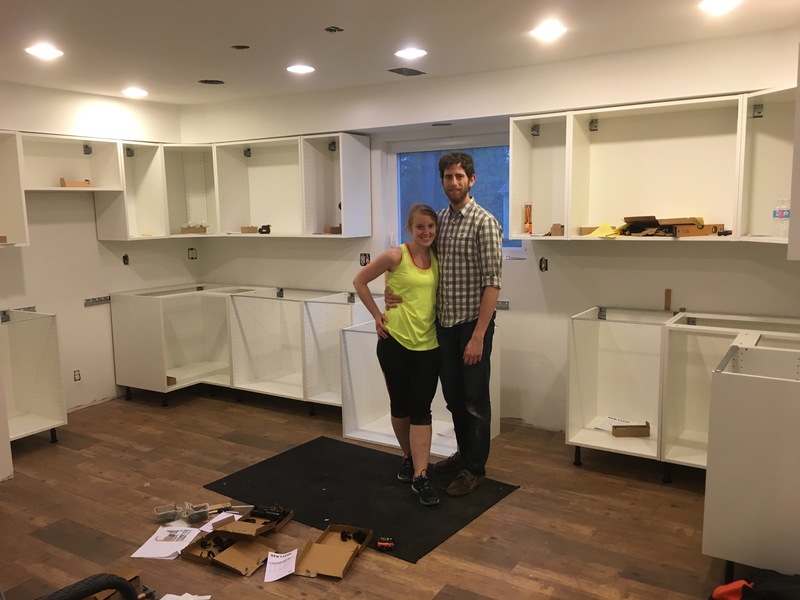 Exhausting, and I can’t thank my sister and her boyfriend enough for getting all those built and hung up. After that it was testing out which counters we’d like. 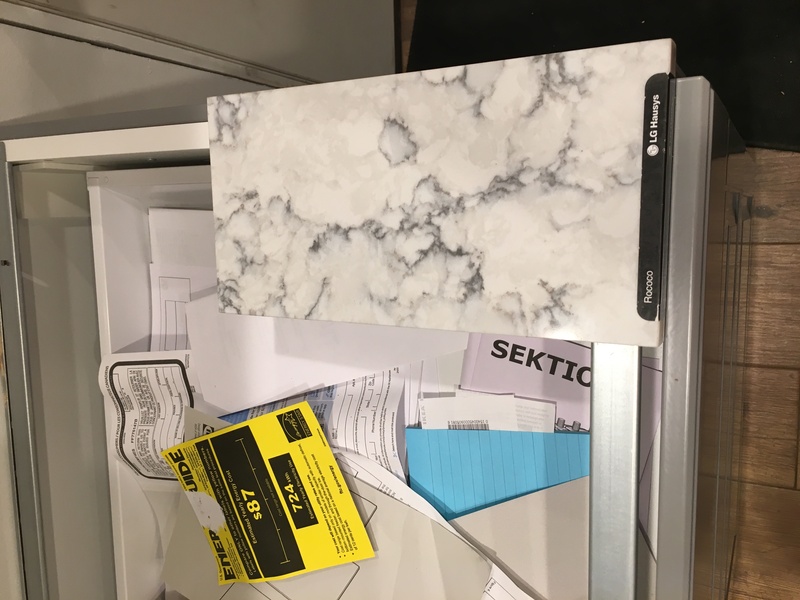 We settled on a quartz from LG that had a marble look. The Mrs. had wanted actual marble but I knew it’d get stained up very quickly in a kitchen so I found the best compromise I could, and it’s impervious to just about anything. 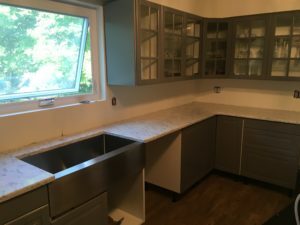 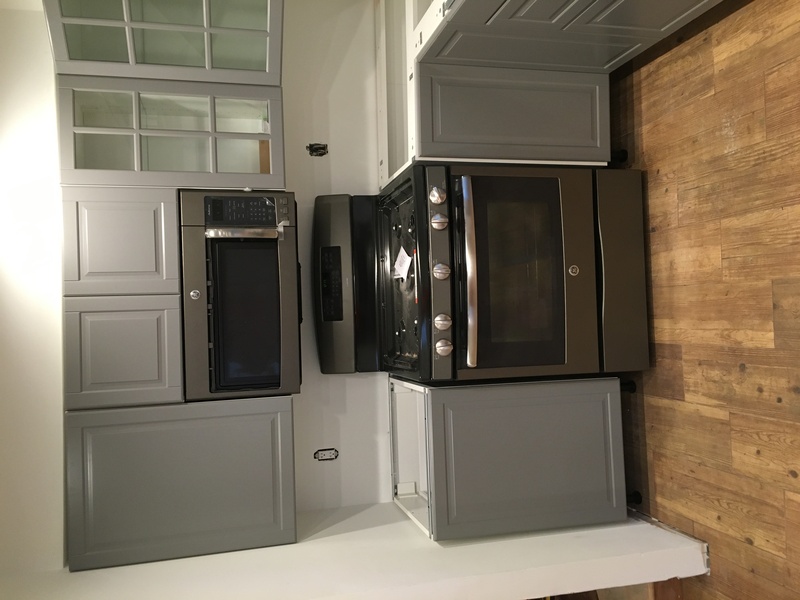 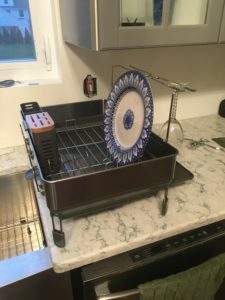 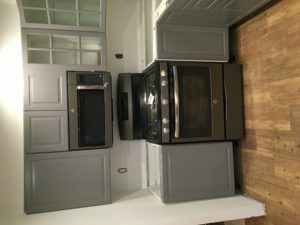 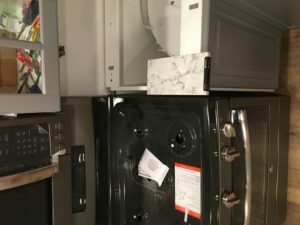 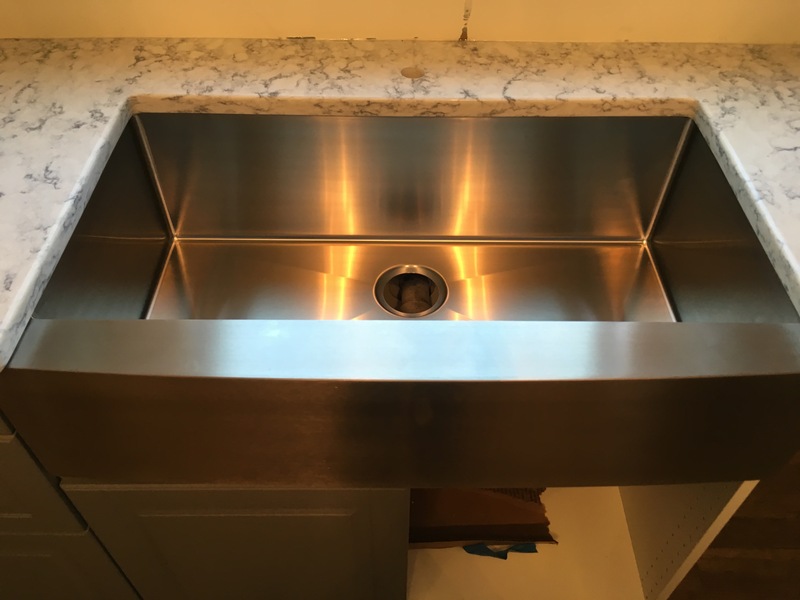 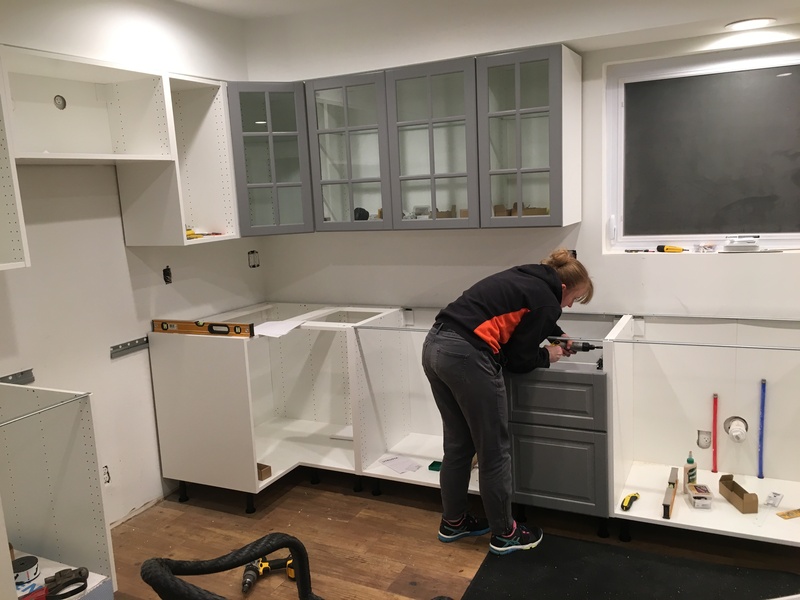 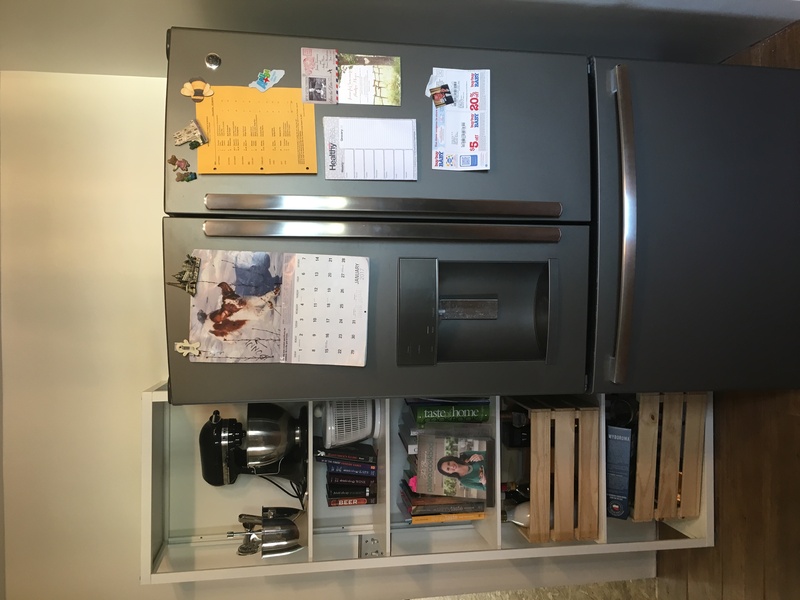 We then picked up a nice stainless steel farmhouse sink from Wayfair and cut down the Ikea cabinet to accept the deeper cabinet. 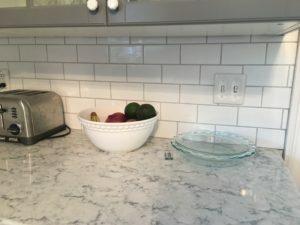 I looked around at the fireclay but everyone I talked to said it scratched very easily and would look worn pretty quickly. 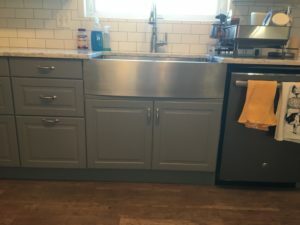 My parents have had the same sink as long as I’ve been alive an it’s still in good shape, I figured it was worth a shot. 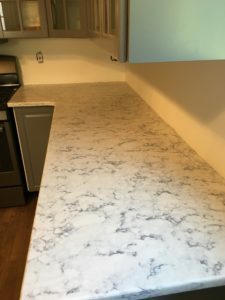 And that was the last thing that needed to be done before the countertops. 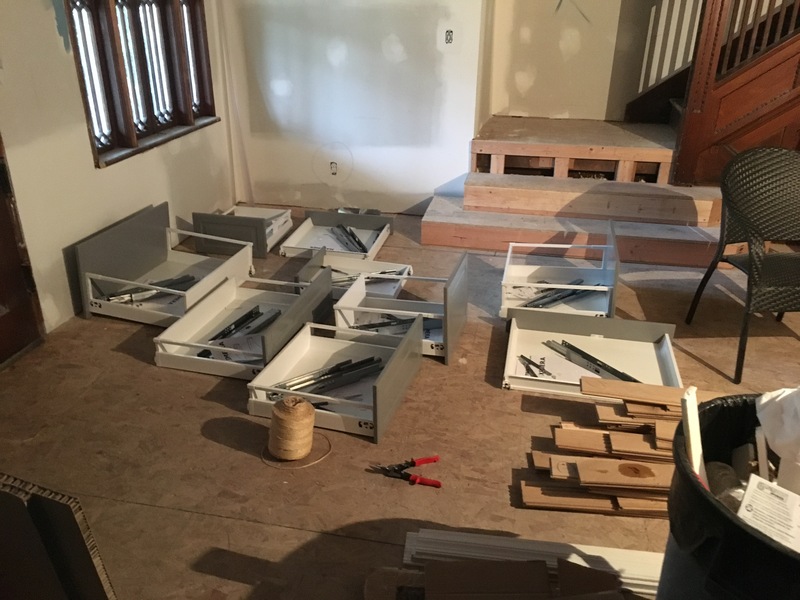 We had them put in and it took them all of an hour, I was very impressed, plus those pieces looked very heavy. 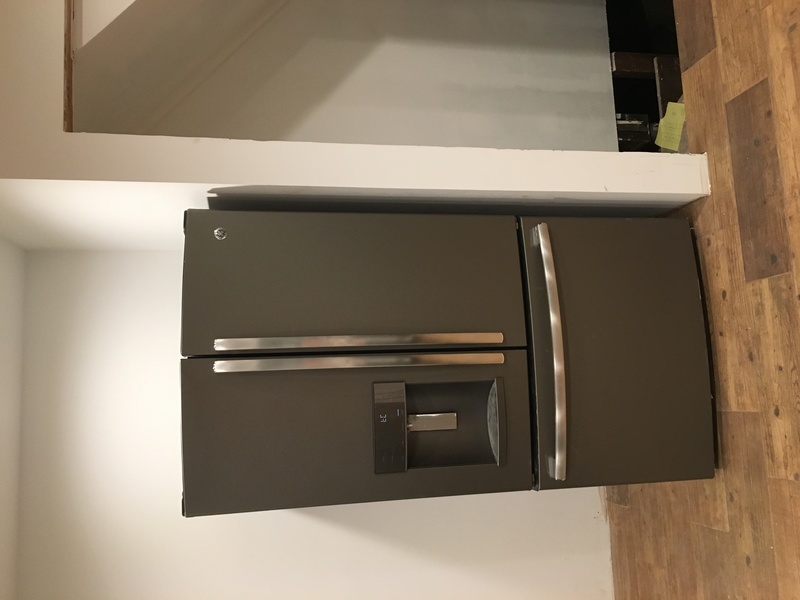 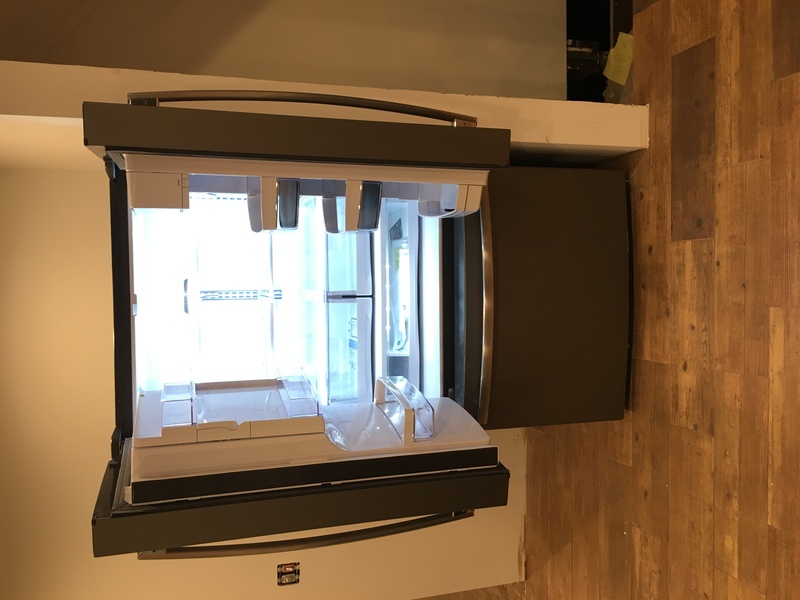 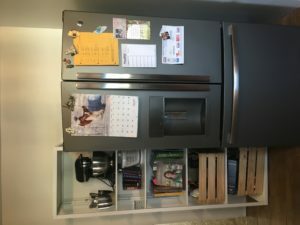 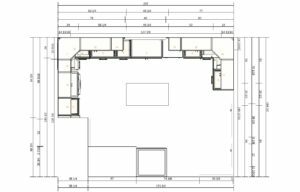 For anyone wondering where the refrigerator was, well, remember when I closed off the original dining room and removed the pantry? 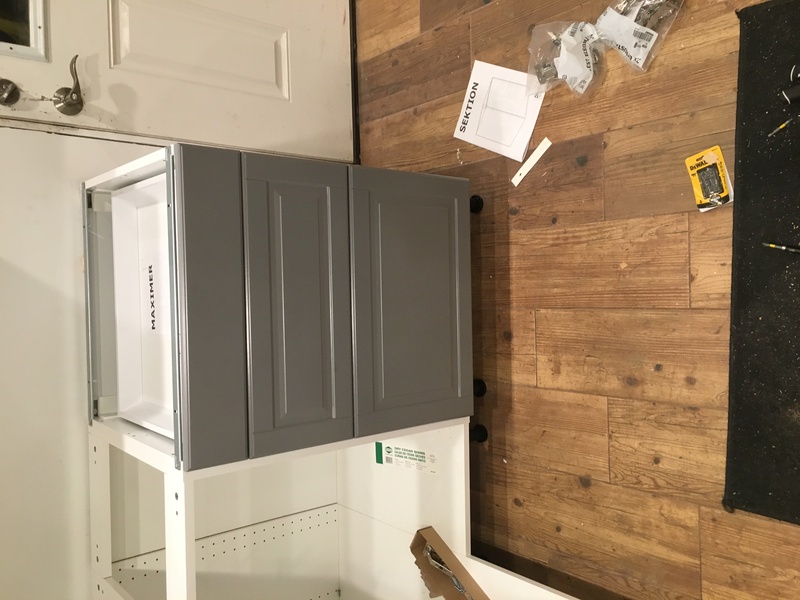 Now I had a nice nook to put it in and it fit perfectly. 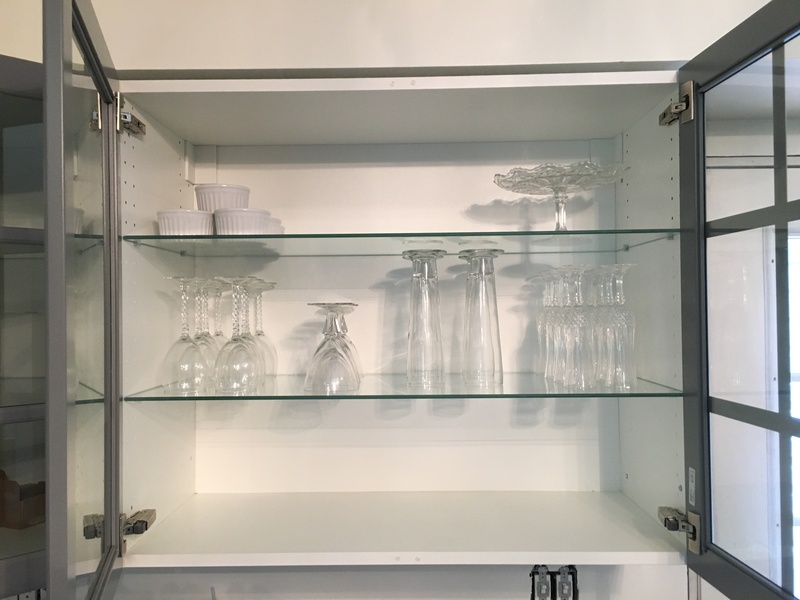 Someday I’ll get a cabinet to put above it. 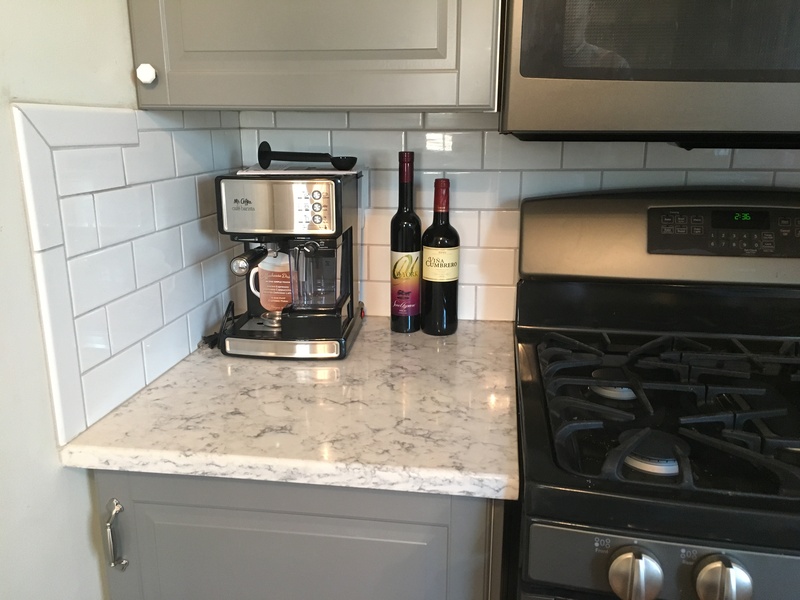 Now that it was finally put together all we had left was to put up the backsplash and outlet covers. 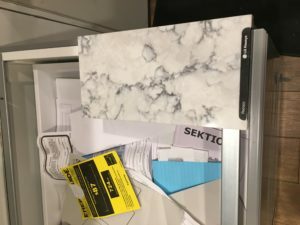 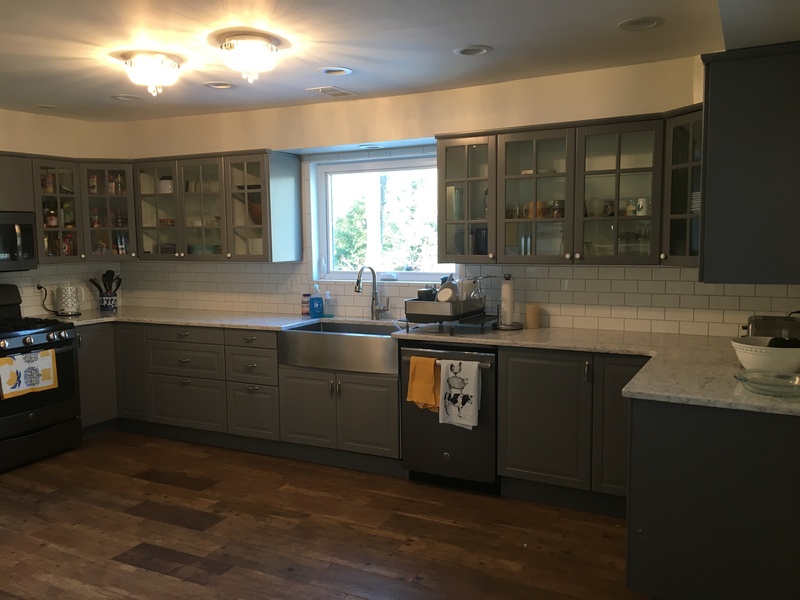 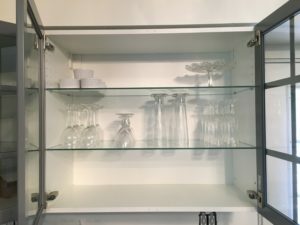 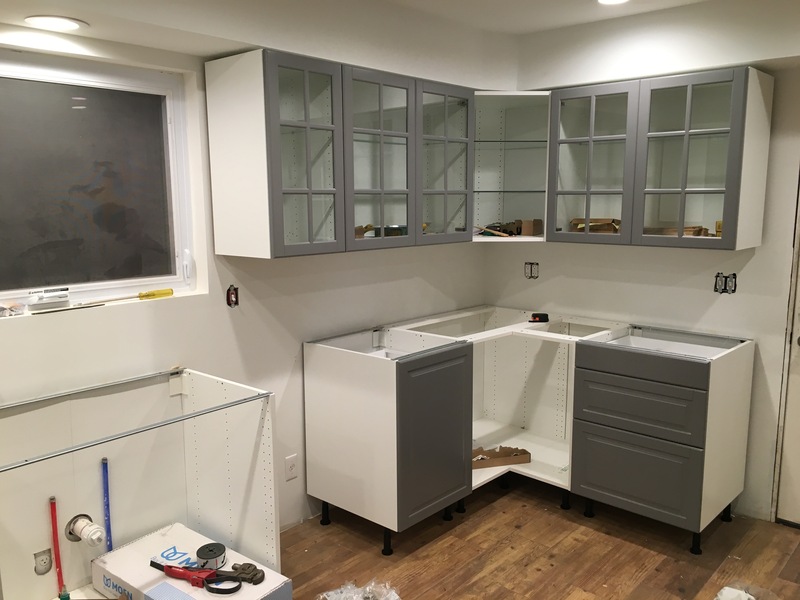 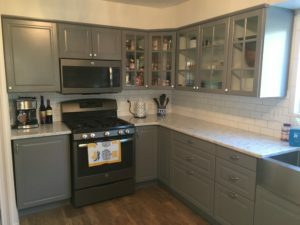 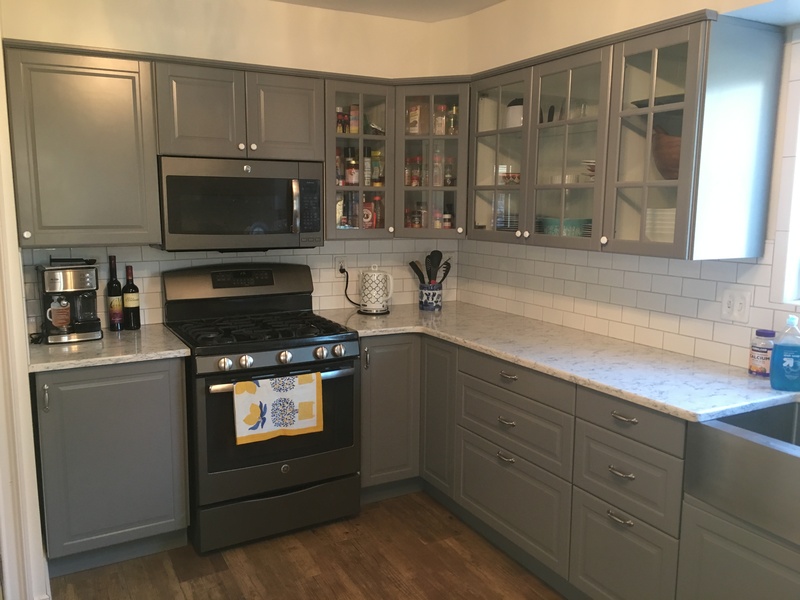 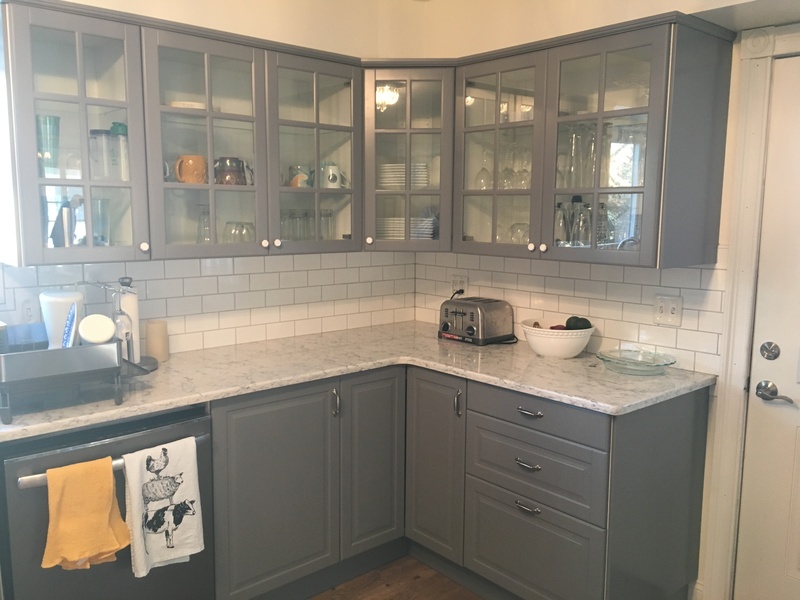 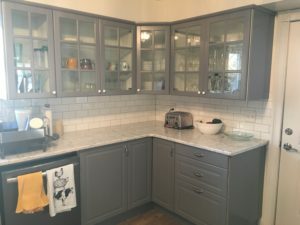 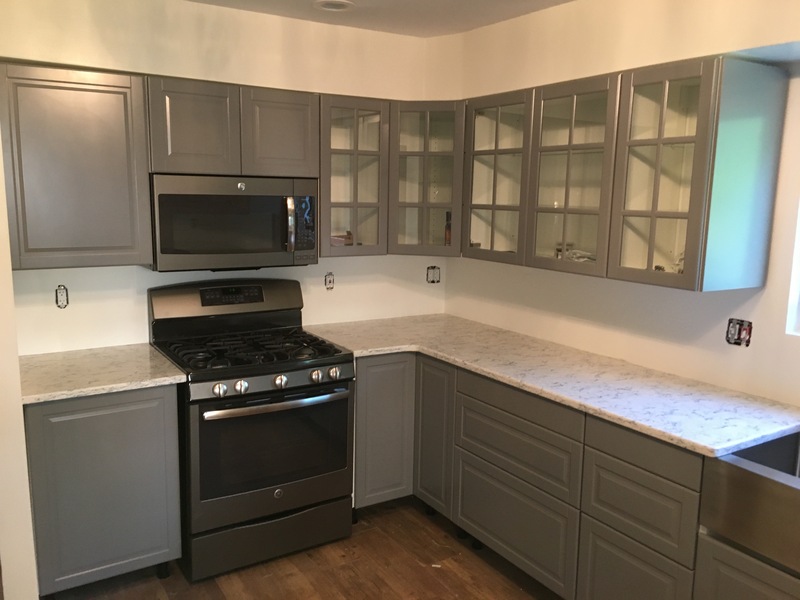 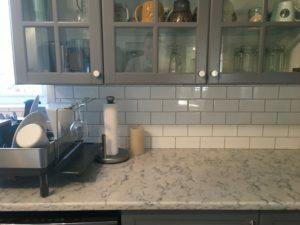 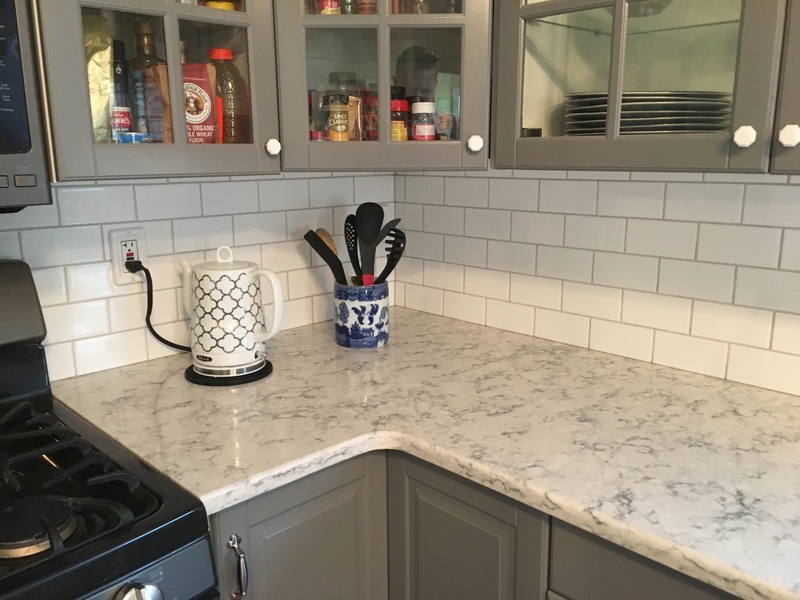 We opted for a nice white subway tile to juxtapose the gray cabinets, but before that we were able to finally put our glasses that’d been packed up for almost 4 years on display. 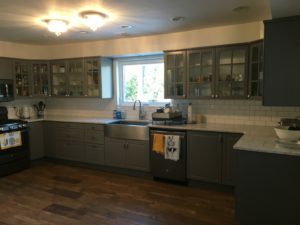 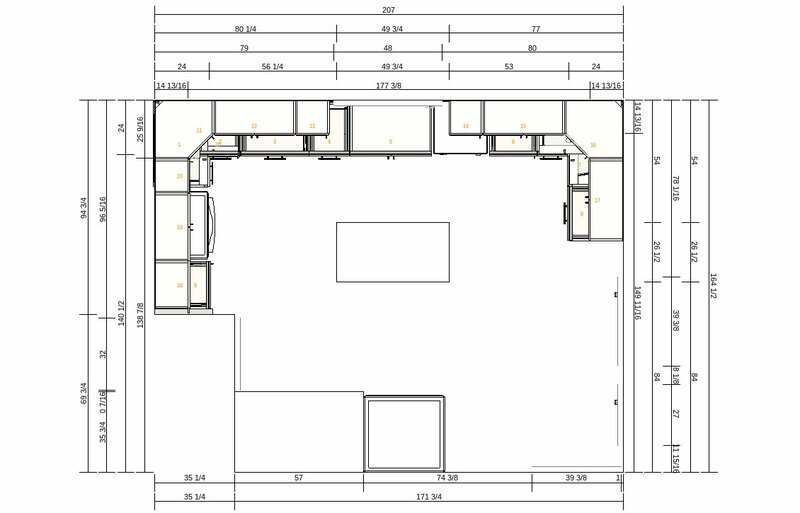 And here it is, the finished product, a kitchen!